Well, I'm a very naughty girl, because I completely forgot to blog this yesterday, when the new challenge at CRAFT started - sorry Jo x, but, here it is, hopefully better late than never. The challenge this time is to add a charm to your creation, which suits me, as I have a bit of an obsession about them, and I sell hundreds of different ones in my shop Ewe 2 Can Craft. 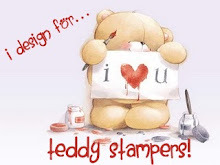 There are 3 fantastic prizes up for grabs this week from or sponsors - DigiDarla, Just Tracy and Bugaboo Stamps. I have used an Ethel stamp on my card, coloured with my ProMarkers. These images always bring a smile to my face and the sentiments always make me chuckle. LOL! oh this is fab Sharon… really made me chuckle… what a wonderful fun image and sentiment… love the scrummy paper and embellies… the sunglasses charm is perfect! Fab image and fab sentiment, just brilliant...thanks for joining us at Divas! Fantastic card...really made me chuckle. Love the yellow and the sunglasses are perfect. Gorgeous card....love your colouring of that fun image...thanks for joining the Divas! Hee hee, love it, a very funny card! 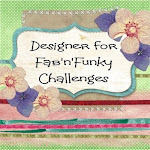 Thanks for joining us at Fab N Funky this week! Adorable...Ethel is a hottie for sure! Thank you for joining us at Creative Card Crew! Your card is so fun! Great summer themed card! Thanks for playing with us a Pile It On! FABULOUS!! What a FUN card! Such a fun image and love the sentiment....lol. Great layout and love the charm. Thanks for joining us at LCI Challenge this month.